Challenger Group has been renowned for providing high-quality engineering solutions for the past thirty years. We are proud of the quality of our work and the machinery we produce. Many of it has enabled new and growing businesses to expand and contribute greatly to the economy. All of the machinery we manufacture is bespoke and accredited to the ISO 9001 Quality Standard. We are hoping to be awarded the ISO 9001:2015 Standard in November 2017. Our after sales maintenance service means that machinery can work efficiently for decades. Our second-hand machinery can either be purchased as seen or upgraded so it can be used immediately. We strive to improve our service and are continually updating our equipment so your machinery is built to the best possible standards. Recently we have taken delivery of a Haas VF2 Axis Machining Centre, a Harrison Alpha CNC Centre and a Tong Tai 2 axis CNC Slant Bed Lathe. We are also building up stocks of the Manuli Hose which will increase efficiency in our hydraulic systems. 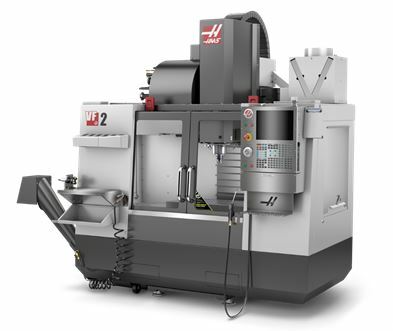 The Haas VF2 Axis Machining Centre is a welcome addition to our manufacturing system. Our customers have requested that we incorporate integral Sun Cartridge valves in cylinders and end blocks. This machine enables us to fulfil this request and keep up with manufacturing demand. In order to increase capacity and reduce lead times, we have purchased 5 Harrison Alpha CNC Centres. The machinery is a lathe used to rotate rods and tubes so that they can be cut and shaped. This lathe has a 2-metre bed so that it can machine tubes up to Ø250mm bore and 2 metres in length. 80% of our size range require these dimensions. Our production cell has now increased to 4 CNC lathes which are controlled by two operators. The operators are responsible for programming and running the machines. All of our personnel will be trained how to operate these systems, which will improve efficiency and productivity. 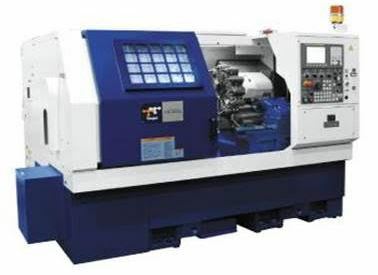 The Tong Tai 2 Axis CNC Slant Bed Lathe can machine components up to Ø200mm bore down to 32 mm bore. We have just received our first container shipment of Manuli Hose from Comet Fluid Power (who have just been awarded the distributorship). Our intention is to build up our stock of both hydraulic hose and fittings. The result of this investment will be full compatibility and certification when producing hose assemblies on site. The considerable investment we have made in machinery will enable us to fulfil the criteria for the ISO 9001:2015 Standard Quality Accreditation. The new accreditation involves a greater emphasis on customer focus and will improve the efficiency of our systems. Having had the ISO 9001 accreditation for a number of years means that we are constantly reviewing and improving our products and services in the following areas. The ISO 9001:2015 Standard Quality Accreditation is recognised globally and incorporated into many different industries. We are very excited and positive about how our investment in machinery, training and system organisation. It is uplifting to be able to move the company forward and compete internationally. Challenger Group aims to continue to be synonymous with quality engineering for many more decades. If you are interested in purchasing bespoke machinery or would just like to find out more about what we do, please contact us here.